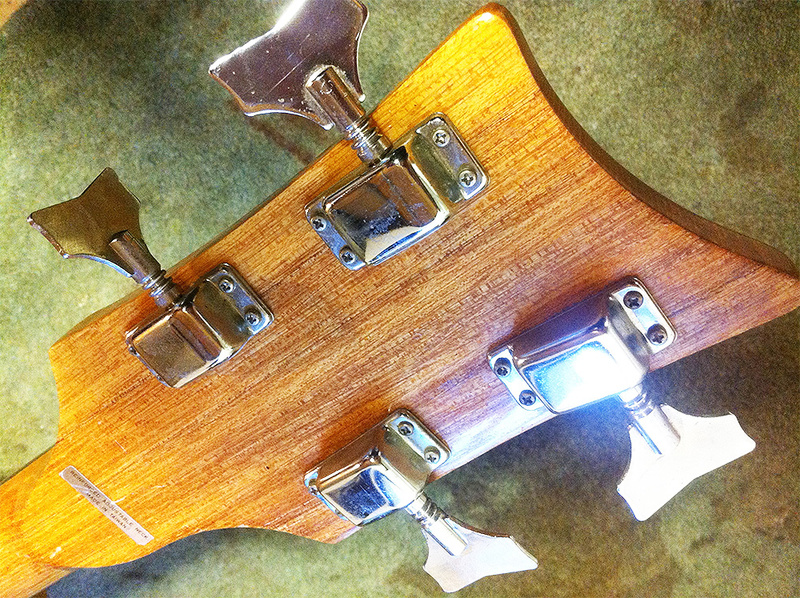 This is a 30″ short-scale bass made in Taiwan in the early 70s. 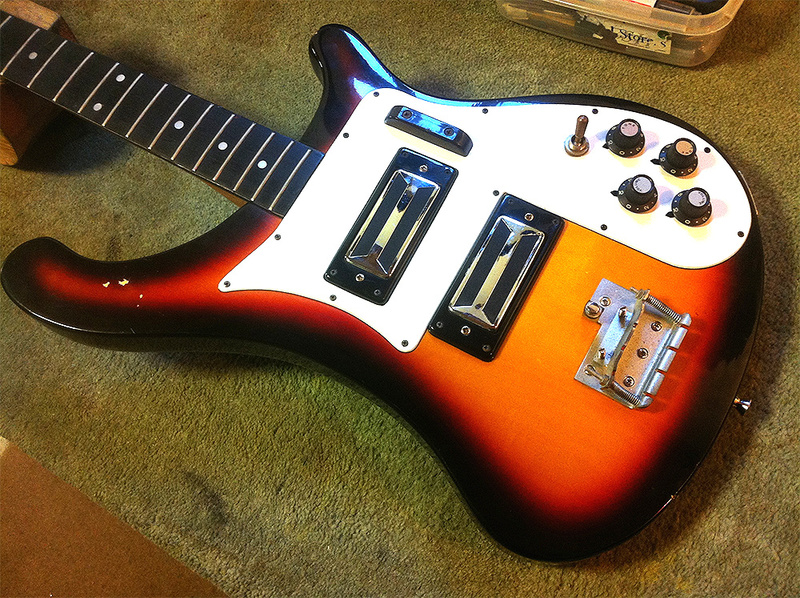 Reminiscent of the Rickenbacker 4001, there is a lot of conflicting information about these instruments on the web. 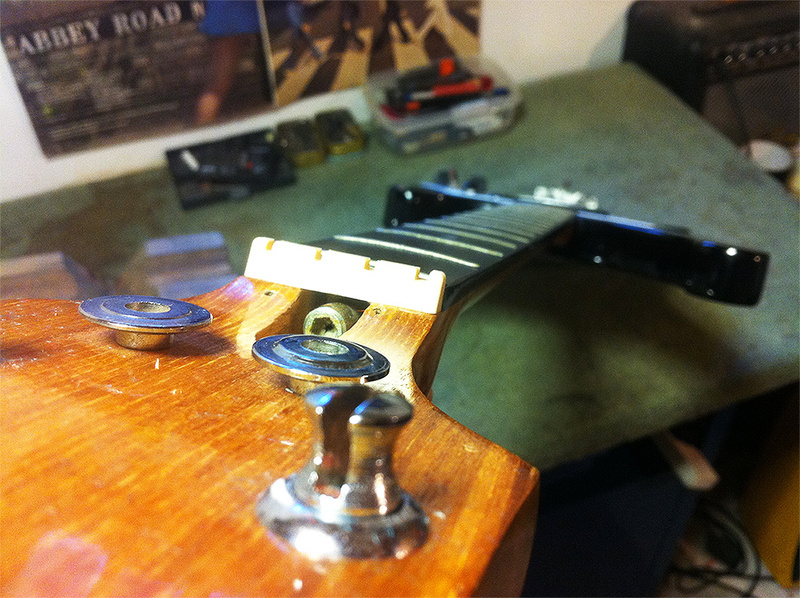 Steve Staples (of International Vintage Guitars) will tell you that these were made in the USA at the end of the 60s. Here’s why they weren’t. Kay Musical Instrument Company was a large American manufacturer of musical instruments operating from the ’30s through the ’60s. 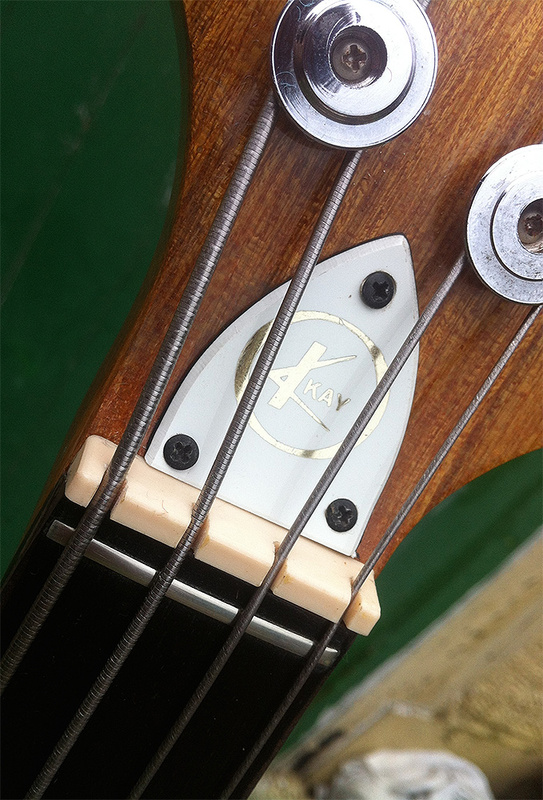 Kay’s first electric guitar was offered in 1936, the same year as Gibson, but they were famous in particular for their double basses (upright basses) renowned all over the world by string bass players. Kay made electric guitar models for its own brand name as well as guitars branded as ‘Silvertone’ for Sears, ‘Sherwood’ and ‘Airline’ for Montgomery Wards, ‘Old Kraftsman’ for Spiegel, ‘Custom Kraft’ for St. Louis Music, ‘Truetone’ for Western Auto,’Penncrest’ for JC Penney, Also, Kay produced a line of archtop acoustics called Kamico. In 1968 due to financial problems the company ceased trading and the companies assets were auctioned off the following year. The Kay name and some of its trademarks (such as Knox) were acquired by Weiss Musical Instruments. WMI was an trading company who imported instruments from the far east, in particular from a Japanese manufacturer called Teisco. I have worked on late 60s early 70s Teisco guitars and the a very easy to spot; meranti necks with multi-layered plywood bodies. 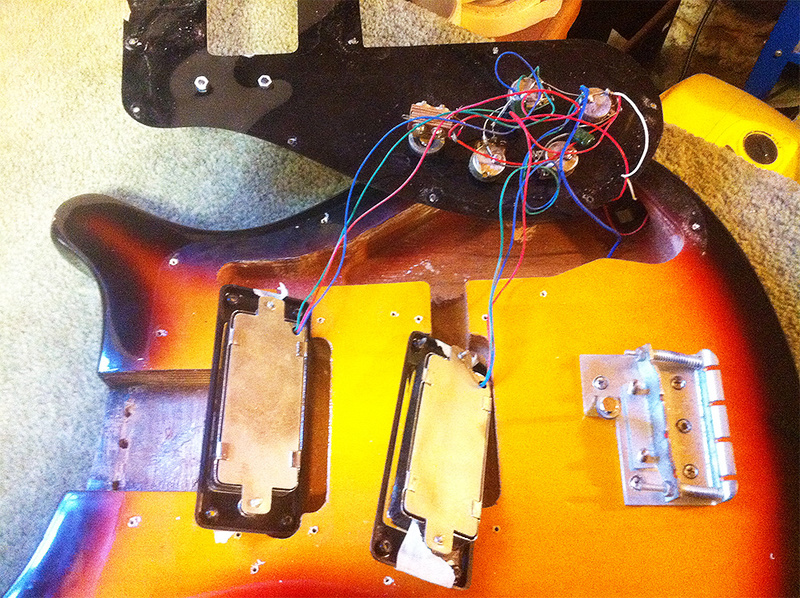 The pickups and hardware have a certain retro look about them and I have to say sound very good. For Steve Staples to say this bass was made in the USA, he has overlooked one thing. 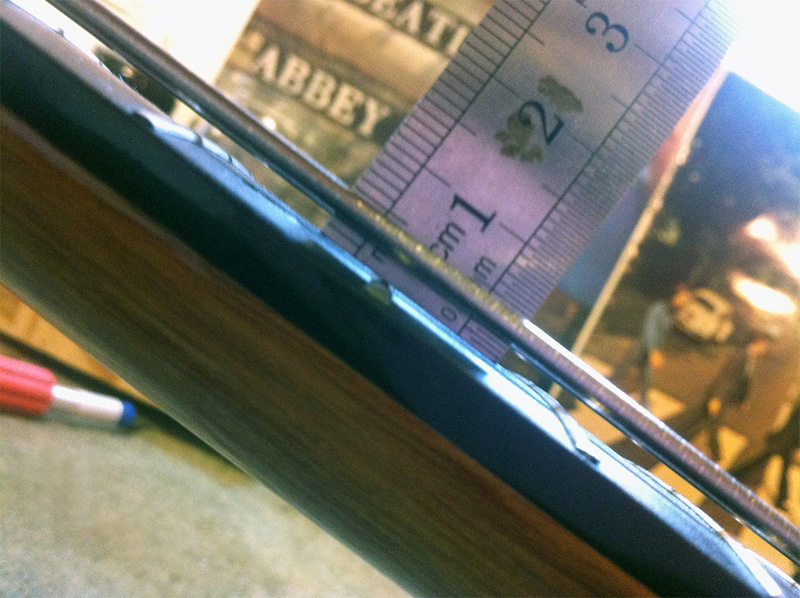 All nuts, bolts, screws and measurements on this guitar are metric – as opposed to the imperial measurements used in the USA. 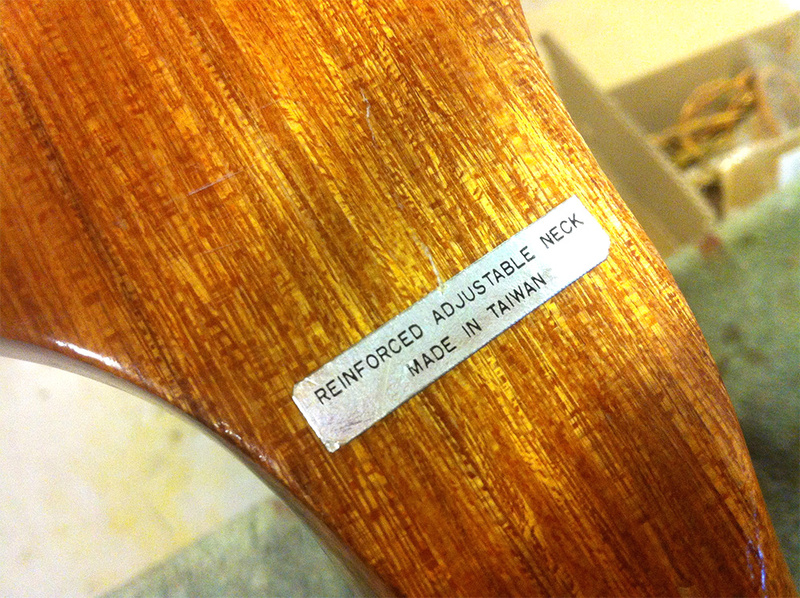 Kay did make some very highly regarded upright basses in the USA, but this is very definitely of Far Eastern origin – and from the original stickers on this model we can see that the country was Taiwan. This came in requiring quite a lot of work to get it playing properly. 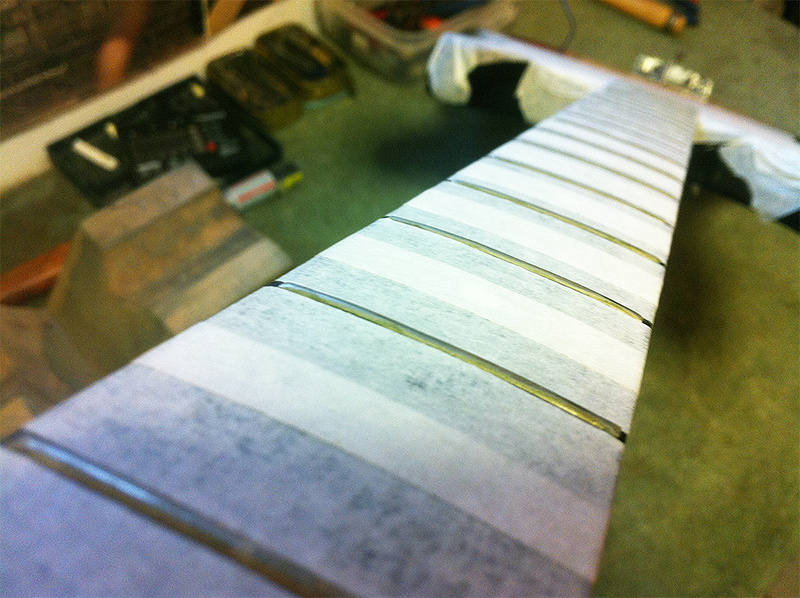 Work undertaken included; neck reset, fret level and dress, nut and zero fret work and an overhaul of the electronics. It’s very difficult to determine exactly what year the bass was produced. I do not believe a record was kept for production numbers. 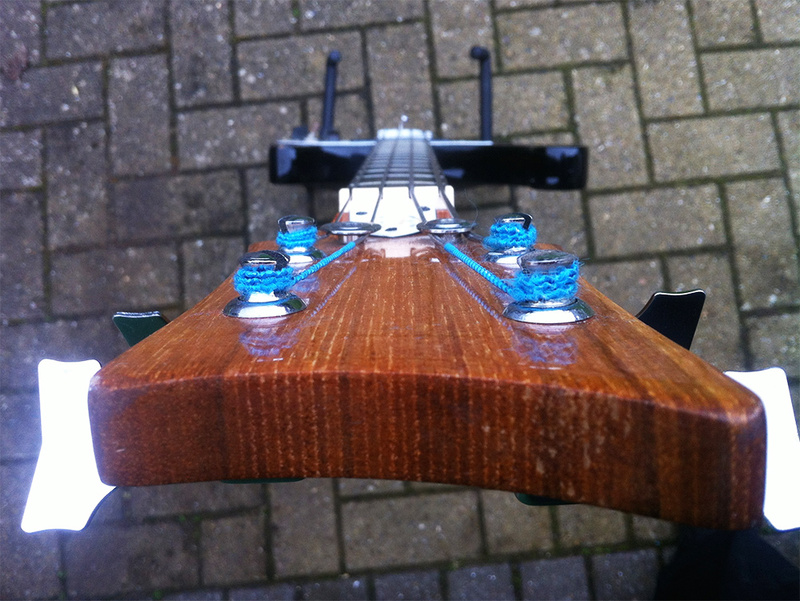 This bass was set-up with Rotosound flatwound medium gauge strings with 2.5mm action at the 12th fret. 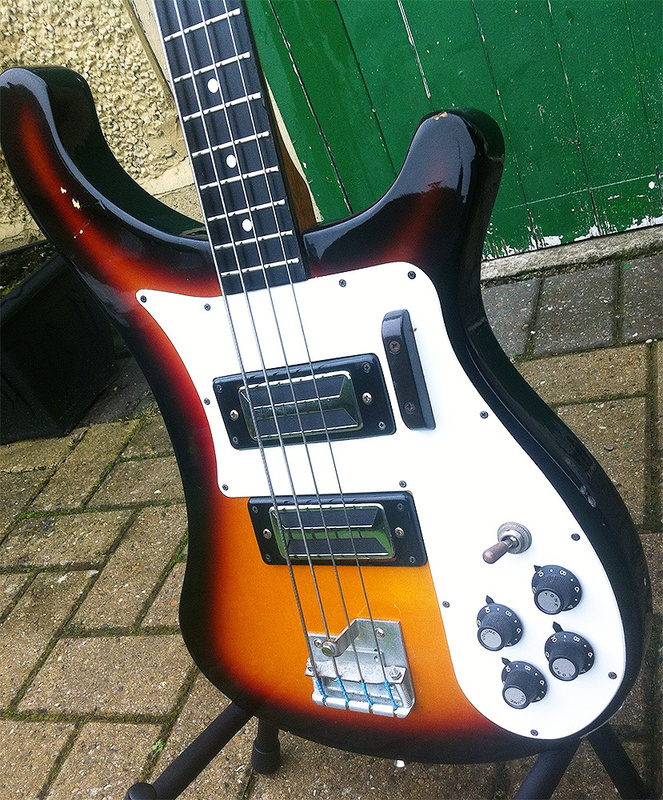 Considering this is only 30″ scale, this is a very lovely sounding bass which is light, comfortable easy to play. Customer needs a bridge cover to finish this off. Let me know if you have one! 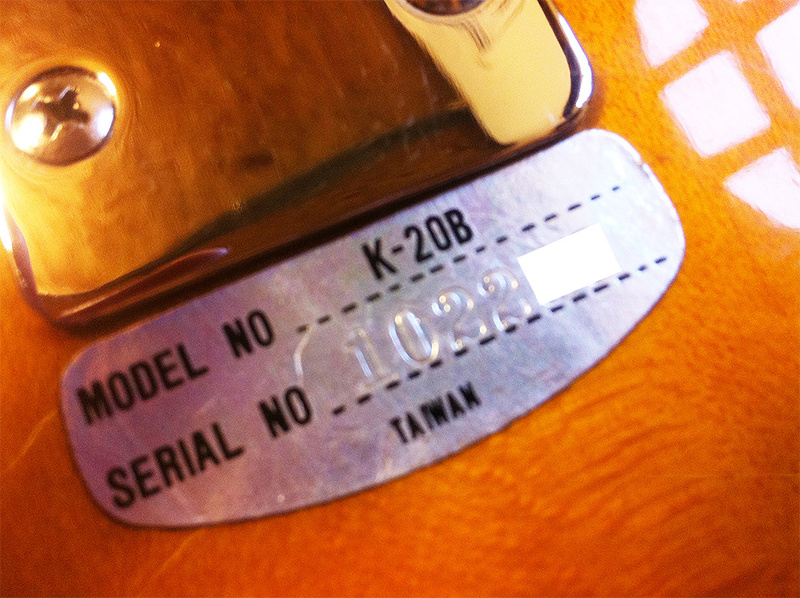 My brother has a Taiwan k-20b exactly like that one. 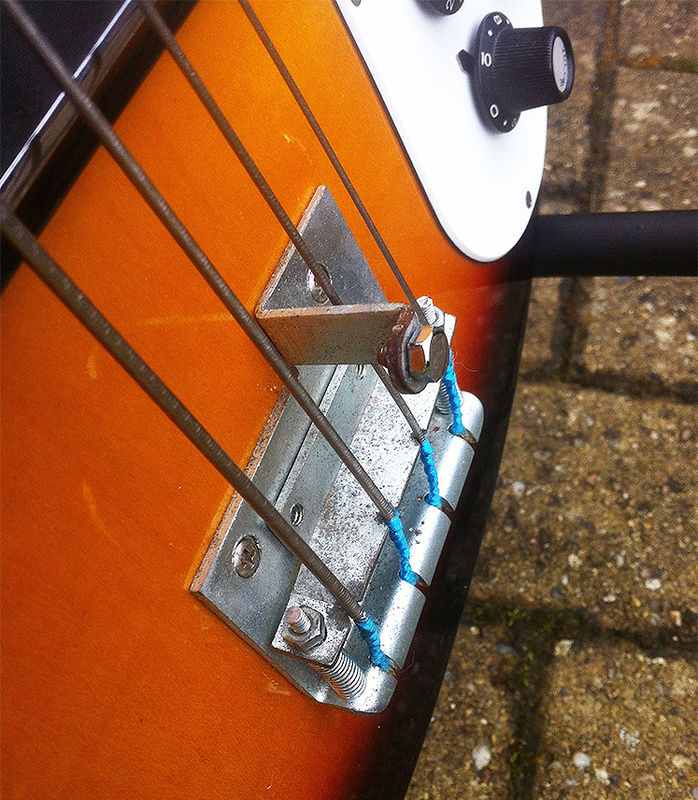 He wants to sell it to get a left handed bass. What is going price? We can’t find any consistancy to online prices. What’s the deal with that bridge? I don’t understand the purpose of the vertical part sticking up between the A and D strings. Not sure if that’s april 3rd or March 4th. Do you know is there is any information encoded into the serial numbers? and if so how to decode it.